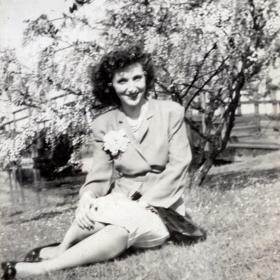 Linda Bernice Venne, age 95, passed away Friday, June 8, 2018. She was born in Muskegon, Michigan on February 25, 1923 to Charles & Victoria (Morzek) Zuber. 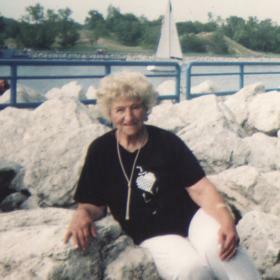 Linda had been employed as a Machinist and Inspector for Muskegon Piston Ring for over 30 years until retiring. 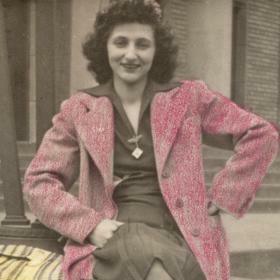 Linda was an active member of the UAW Union and Women's Democratic Party and member of the Polka Club. She was an independent woman who loved to travel and dance. She will be greatly missed. Son, Gerald "Jerry" and wife Ruby Venne of TX; daughter, Sandy Seitz of Muskegon; grandchildren, Kim Smith, Larry Seitz, Misty Seitz, Savanna Venne, Lyman Broom, Dean Smith, Shane Wruck; great grandchildren, Meryssa Seitz, Justin Seitz, Zackery Smith, Brooklyn Venne, Cheyenne Broom, Jamario Johnson, Geoff Marker, Brenna Kelley. She was preceded in death by her parents. Tuesday, June 12, 2018, 3:00 pm with visitation one hour prior to the service at the Clock Chapel - Muskegon with General Elder Jonathon T. Lott Sr. & Deaconess Misty Seitz officiating. Interment in Norton Cemetery.